At Good Earth, we've been creating authentic community coffeehouses since 1991, serving exceptional coffee sourced through Direct Trade. We make and serve fresh, wholesome food in our own kitchens for every time of the day. And our commitment to community and environment runs deep. We believe doing good feels good. Find your sense of community with a Good Earth Coffeehouse of your own. We're growing across Canada! At Good Earth we’ve been creating authentic, community coffeehouses since 1991… serving exceptional coffee and fresh, wholesome food, with a down-to-earth attitude. Coffee and espresso are the heart of our business. We believe in exceptional coffee quality, responsible farming, direct trade and small-batch roasting. We seek out farmers who promote environmental sustainability. And we establish direct trade practices to help improve communities where coffee is grown. Our selections include Direct Trade, Organic, Fair Trade, and Rainforest Alliance Certified coffee... and every cup is exceptional. Our food is fresh and wholesome. It sets us apart from the competition. The good food at Good Earth is made fresh in Good Earth’s kitchens every day. We serve fresh baked goods and hot breakfasts, hearty soups and stews, fresh salads, panini, and a variety of hand-crafted beverages. Good Earth is uniquely a coffeehouse with good food. Coffeehouses have a long and colourful history. They are places people have gathered for information, conversation, revolution, comfort, and community, for centuries. Our coffeehouses are warm, friendly, and inviting. A Good Earth Coffeehouse is a community-gathering place like the coffeehouses of old. Good relationships are at the core of Good Earth. We know it takes commitment to build relationships with our Franchise Operating Partners, our customers, and our communities. That’s why Good Earth is growing through franchising. With the Good Earth team by your side, we can do something good together! The first Good Earth Coffeehouse opened in Calgary on a hot summer day in 1991. Our Founders began with a desire to serve exceptional coffee and wholesome food, in an authentic coffeehouse environment. Now there are over 50 coffeehouses in Canada. They are warm and inviting places where people like to meet. 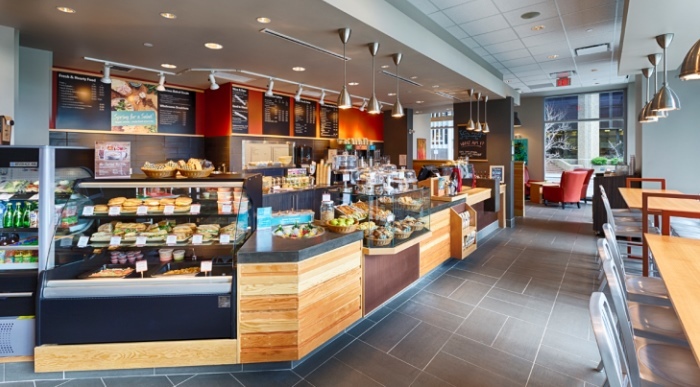 Good Earth Coffeehouse is Canadian-owned with Corporate Headquarters in Calgary, Alberta. While our company is growing, we remain true to our original mission… to be a coffeehouse with good food. Our special offer to show support and appreciation for our Military Veterans is 50% off our initial franchise fee!